How to double-cross Hollywood as an artist? 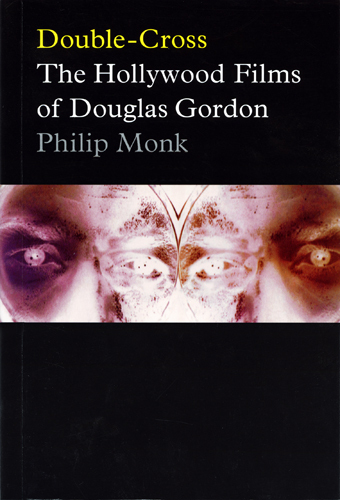 This first monograph on British artist Douglas Gordon analyses all of the artist’s video projection installations that are based on his appropriations of Hollywood film noir or Hitchcock films, examining Gordon’s language works as well. Counter to the usual interpretations of Gordon’s work as a dichotomy between good and evil, Double-Cross argues that his work is all about dissemblance, with the dichotomy only one deception among others. It also argues that, with the inaugural separation of the components of sound and image in his work, one of the artist’s disguises is that of an author. All the fragments of the artist’s work—projections, language works, photography—add up to the production of a criminal author. His final disguise is that of an experimental filmmaker whose subject is not the film noir themes of trust, guilt, fate, and the madness of the double that appear as the content of his work, but the temporality of the spectator‘s engagement.